Metal Forms Corporation has a proud history of manufacturing quality products for concrete construction. For over 100 years, the Company has pioneered, engineered and produced durable products supported by dependable customer service and prompt delivery. Over the years, Metal Forms Corporation has been awarded over 40 U.S. and foreign patents and currently holds 10 registered U.S. and Canadian trademarks. Metal Forms Corporation engineers, supplies and services three important segments of the concrete construction industry: concrete forming, material handling and concrete finishing. The concrete forming category includes steel forms for concrete construction, poly and plastic forms for concrete construction and steel construction stakes. The material handling category includes Sterling wheelbarrows, mortar tubs and brick carts. 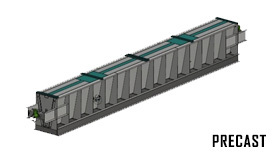 The concrete finishing category includes truss machines in three different weight classifications. 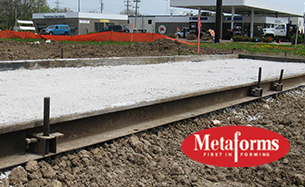 MFC's concrete paving forms are versatile, durable and precision-built for consistent and painless concrete forming. Metal Forms Corporation produces Meta Pave™ forms and Meta Pave II™ forms. These forms are available in heavy-duty 1/4th inch and 3/16ths inch steel. The lighter Base-Line™ forms are available in 3/16ths inch and 1/8th inch steel. Concrete conctractors consistently rate MetalForms' Meta Pave and Base-Line forms as the best concrete paving forms on the market. 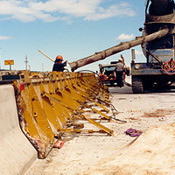 Median barrier and bridge parapet construction requires consistent and reliable concrete forms. 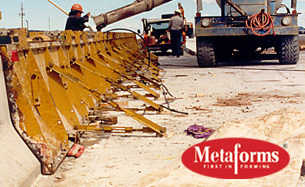 MetalForms Corporation manufactures superior concrete forms for highway and bridge barricade construction. 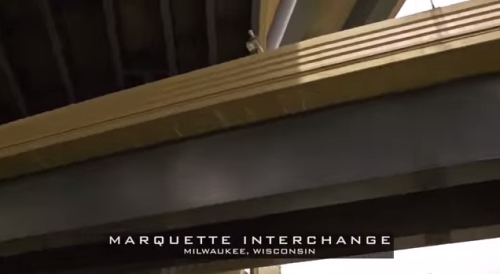 Metal Forms Corporation's concrete forms are popular for high-traffic roads and bridges such as Milwaukee's Marquette Interchange. MFC's Flatwork forms are perfect for a wide range of concrete cross sections. We manufacture flexible radius forms and Slim-Line lightweight forms for driveways and sidewalks. Versatile Base-Line forms can be used for curb and gutter paving as well as heavier concrete construction. Base-Line forms are built to support lightweight screeding equipment. These plastic concrete paving forms are made from durable HDPE supported by steel inserts for rigidity. MFC's Straight forms and flexible radius forms save time, lumber and sweat. These concrete forms are extremely reusable and easily washable. 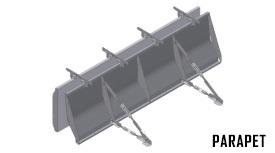 Steel stake pockets make the forms stackable, meaning you can form concrete at 4", 6", 8", 10", and 12" depths. 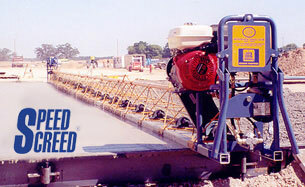 MetalForms Corporation produces powerful vibratory concrete finishing truss screeds. 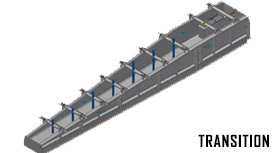 We manufacture two fully customizable Speed Screed models: the Heavy Duty Truss Screed and the lighter weight Cruiser Truss Screed. MetalForms' vibratory screed options include offset plates, crowning adapters, hand winches, and hydraulic winches. 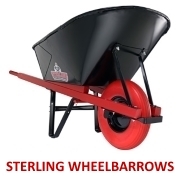 Sterling contractor-grade wheelbarrows are highly popular with construction companies. The double-lapped and welded 16 Ga. steel trays, the 1-piece leg unit, flat-free tires and routed hardwood handles make Sterling wheelbarrows outlast the competition. These wheelbarrows are also carefully balanced to reduce back and shoulder strain. 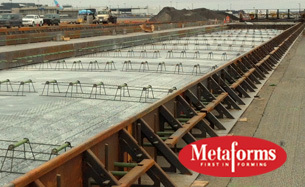 Our concrete forming products are marketed under the METAFORMS® trademark and include steel forms for concrete construction from flatwork forms to curb & gutter forms to paving, median barrier and bridge parapet forms. Concrete forming also includes poly and plastic concrete forming systems for flatwork, curb & gutter and tight radiuses along with form stakes, nail stakes and stringline stakes. 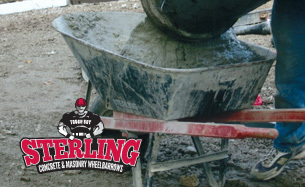 Our material handling products are marketed under the STERLING “Tough Guy”® trademark and include heavy-duty contractor wheelbarrows, mortar tubs and brick and block carts. Our concrete finishing products are marketed under the SPEED SCREED® trademark and include all types of truss screeds for concrete roadbuilding, airports, ramps, streets and flatwork applications. Metal Forms Corporation, a leading concrete form manufacturer, has been supplying the concrete construction industry with top of the line concrete forming systems outperforming other concrete form manufacturers worldwide. Metal Forms Corporation manufactures cutting edge concrete paving forms for highways, airports, streets, intersections, taxiways, ramps, and more. Concrete construction advancements begin with Metal Forms Corporation as we form the road to success. 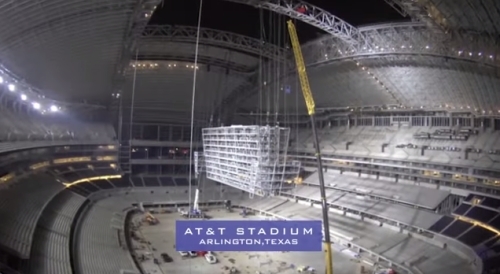 As Metal Forms Corporation expands, concrete forms products innovation continues. Metal Forms Corporation is the first concrete forming manufacturing company to successfully design and produce a steel form for constructing concrete homes and buildings. We have the experience and reputation for designing and manufacturing the right concrete form for all types of concrete paving applications. 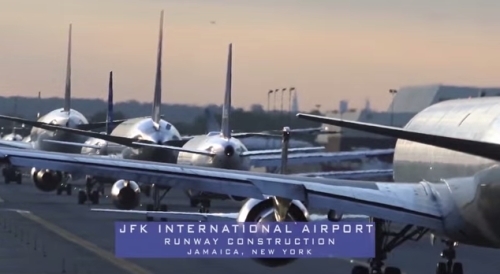 Metal Forms Corporation has designed paving forms for highway, airport, street, and related paving projects throughout the world. More than standard concrete construction form products, Metal Forms Corporation offers premium concrete construction products engineered to our customers’ specifications. From heavy duty steel concrete forms for the toughest jobs to lightweight plastic concrete forms for shaping tight radiuses, Metal Forms Corporation has the concrete forming product for your specific concrete construction job. Metal Forms Corporation pioneers quality concrete forming products backed by reliable service. Our customer service team has more than 150 years of experience in the concrete paving industry. Metal Forms Corporation builds long-term, trustworthy, and mutually beneficial relationships in order to lock in complete customer satisfaction. Our ability to attract and retain the best customers in the construction industry is built on four important cornerstones: quality products, dependable customer service, prompt delivery, and partnering. By providing knowledgeable, professional and personable assistance before, during, and after each sale, Metal Forms Corporation ensures dependable customer service for all our valued concrete construction forming and finishing customers. 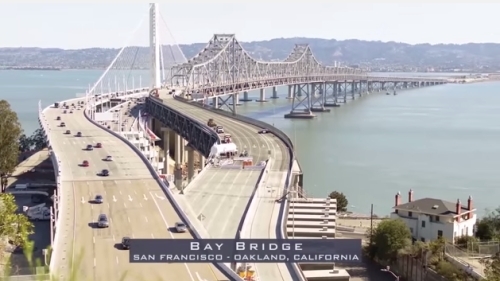 From custom orders to standard products, we aim to provide the best delivery in the concrete construction forming and finishing manufacturing business. Metal Forms Corporation continues our proud tradition of manufacturing quality concrete construction forming and finishing products for the concrete construction industry by creating products that advance Form to Finish. Contact the concrete form suppliers at Metal Forms Corporation today for more information about paving forms, concrete construction forms, and concrete screeds, call 414-964-4550 today! Metal Forms Corporation is proud to manufacture the highest quality paving forms to streamline your paving project. 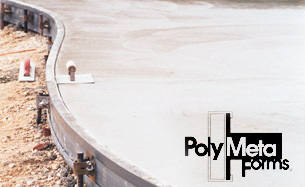 Our Poly Meta® concrete forms curb and gutter system offers a lightweight, reusable, green alternative to wood forming. Our paving forms system weighs half as much as common wood forming and offers the benefit of easy-cleaning and reuse. Curb and Gutter Paving FormsThe Metal Forms paving forms system will adapt to your job. 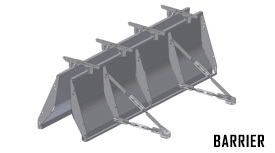 Our multipurpose paving forms can be easily connected, stacked, or shaped using sliding stake pockets to create any number of concrete curb forming solutions. For straight-aways, our paving forms are backed with aluminum to provide stiff, lightweight support. Our curb and gutter paving forms shine brightest during radial concrete forming. Simply substitute our stiff aluminum inserts for our High Density Polyethylene paving forms inserts to achieve any curve down to a three foot radius. Our paving forms can even be adjoined to pre-existing wooden concrete forms using the pre-drilled nail holes in our sliding, stacking stake pockets. Metal Forms paving forms are often used in conjunction with our adjustable-width overhead hangers to provide high-quality curb work.